It’s difficult to look at social media or read the news at the moment without hearing something about the single-use plastic epidemic #theAttenborougheffect. 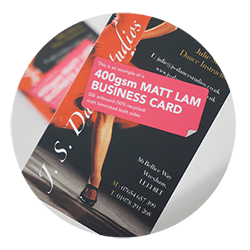 Our most popular business cards are our matt laminated cards. When you also include our spot UV cards and all the other ranges that we matt laminate too, it's a lot of lamination. These laminates are considered a contaminant when it comes to the recycling waste stream. Not ideal. 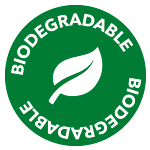 Switching to biodegradable laminate is an opportunity to “do the right thing”. 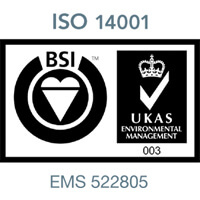 From August 2018, we'll be switching all our laminated stocks to a new biodegradable film. The laminate looks and feels the same – when the print reaches the end of its useful life, it composts. Within two years it’s gone. Without leaving contaminants in the soil. What products have the new bio laminate? 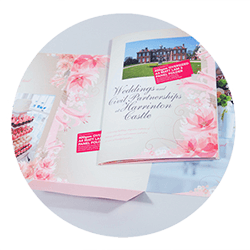 All matt laminated, gloss laminated or spot UV business cards, flyers, folders, post cards, greetings cards, scratch cards and booklet covers. Does that mean that the print wont last as long? 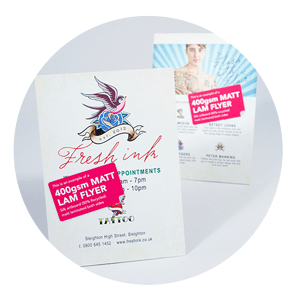 Having biodegradable laminate doesn't mean that your business cards will turn to dust in your hands after a few years, they'll last as long as plastic lamination and will only start to degrade after being in landfill conditions for two years. How does it breakdown after use? Here comes the science bit. The film undergoes a 2-stage degradation process at end of life. The two stages are ‘Oxidative Degradation’ which in turn leads onto ‘Bio Degradation’ – After an approximate 2-year period the pro-degradation additive initiates the process of oxidation in the film through its inter-action with oxygen, ultra-violet light and/or heat. Once fragmented (the films molecular chains are weakened and broken down into shorter lengths) the remaining micro fragments are ready for Bio Degradation where natural occurring micro-organisms present in nature can access/process the film. The final bonus is that zero methane is produced as a bi-product during the degradation process.